For All DeLorean Cars. DeLorean Part Number K102575. DMC Reproduction Part. (1) 102114B Oil Filter, Bosch. (1) 100523 Filter, Fuel. 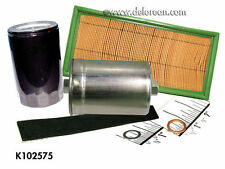 (1) 106685 Pad, Fuel Filter. This part is from a 1982 Delorean DMC12. The build date is Dec 1981. There is a combination of black as well as grey interior pieces. This part is from a 1981 Delorean DMC12. The car was a standard engine with manual transmission. This is a: Air Inlet Valve. This part is from a 1981 Delorean DMC12. The car was a standard engine with manual transmission. This part is from a 1982 Delorean DMC12. The build date is Sep 82. The car was a standard engine with manual transmission. This is a: Air Cleaner Hoses Tubes Ducts. Suit DE LOREAN DMC-12 2.9. There is a misdiagnosis, improper selection or incorrect installation. Diagnostics, testing, removal or installation of the part is not carried out by a suitably qualified person. 1 x Aluminum Pipe. Pipe Size:7.6x35cm. Car maker : universal. Material Type: Aluminum. Material: Aluminum, Silicone, Stainless steel. Item Type: Air Intakes. 100% brand new!!! Color: Black Inner Diameter: 75mm Outside Diameter: 80mm Features: - Black flexible cold air hose - Strong, durable design - 75mm internal diameter - 80mm external diameter - Extends to 1M in length - Ideal for increasing air flow to car engines, air filters or induction kits Note: 1. Please check the size measurement chart carefully before making payment. 2. Please allow 0.5-1 inch difference due to manual measurement. (1 inch=2.54cm) 3. The color of the actual items may slightly different from the listing images due to different computer screen, thanks for your understanding. 4. Instruction is not included. Package included: 1 x Cold Air Ducting Feed Hose. This Cold Air Intake Kit is of high flow cold air extension system that it is a very important part to your car. Material of Filter: Carbon Fiber. Carbon fiber air filter. Cooler air carries more oxygen, which translates into a more intense explosion in the combustion chamber to create more horsepower and torque. Material: aluminum, silicone, stainless steel. color: red. We will reply you within 24- 48 hours. Universal 3" Inlet / 7" Height 100% Real Carbon Fiber Hi-Flow Air Filter For Cold Air/Short Ram Intake. Carbon fiber shell, not only soft, beautiful, and can effectively block the heat. Surface Finish:Real Carbon Fiber. 1 X Air Intake Alumimum Pipe. Surface Finish: Durable Pipe in Quality Aluminum Finish. Also applicable to air intake systems on modified on modified vehicles. - Injection pipe in aluminum finish is durable and washable. Universal Car Front Bumper Turbo Air Intake Pipe Carbon Fiber Turbine Inlet Pipe Air Funnel Kit. 1 x Car Front Bumper Turbo Air Intake Pipe Kit. Applicable models: universal. -Light weight design, durable kit. 1 x Cold Air Ducting Feed Hose. - Black flexible cold air hose. - Ideal for increasing air flow to car engines, air filters or induction kits. We will reply you within 24- 48 hours. 1 x Auto Cold Air Intake tube. length of hose: 48 cm / 18.9 ". Facility: Universal fit for most car, car, truck etc. for universal car. easy to install and economical. tube size: 7,6x26 cm / 2,99 "x 10,24" (ODxL). 1 x Cold Air Ducting Feed Hose. - Extends to 1M in length. - Black flexible cold air hose. - Ideal for increasing air flow to car engines, air filters or induction kits. Color: Black. We will get back to you very soon! Length: 150mm. 1 x 150mm Water Fuel Level Sender. ● Suitable for truck, generators/gen set, bus and marine field. ● Widely used in fuel, water, kerosene and chemical tanks. 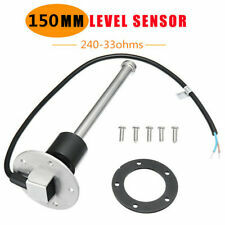 ● High quality fuel level senser. Blue 3" 76mm Air Filter Clean Intake For Car High Flow Short RAM/COLD Round Cone. Hemispherical honeycomb structure can be scurrying to six airflow direction evenly distributed, allowing air to form a smooth flow. Car Air Filter Box Carbon Fiber Cold Feed Induction Air Intake Kit Without Fan. This Cold Air Intake Kit is of high flow cold air extension system that it is a very important part to your car. Cooler air carries more oxygen, which translates into a more intense explosion in the combustion chamber to create more horsepower and torque.